Now available! Buy your Raspberry Pi 3, download the BibleBox disk image, flash to a MicroSD and get started! 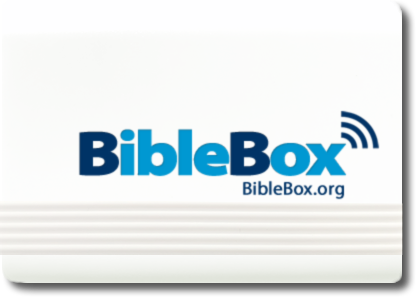 The BibleBox will soon be released on Raspberry Pi. This hardware will provide builtin wifi, bluetooth, HDMI and audio out, 4 USB ports and an ethernet connection. The website the BibleBox delivers is driven by WordPress which has an administrator section to configure your site. The BibleBox website will include course building plugins and the inscript Browser Bible. All file types can be downloaded – or streamed if video and audio. APK files can also be loaded up for users to download. 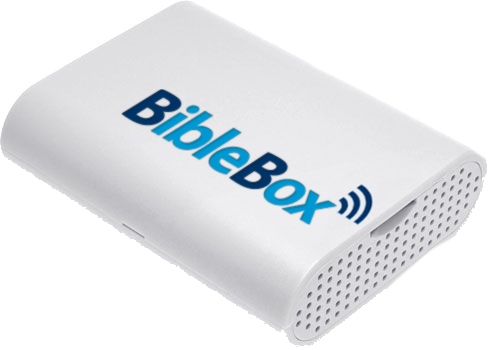 The new BibleBox will have builtin wifi and bluetooth to connect to mobile devices and bluetooth speakers etc. It has HDMI and audio out so you can connect to a projector, TV, Monitor and speakers. It has 4 USB ports to connect USB drives or peripherals. The website is built with WordPress so any files you put there can be streamed or downloaded. It will be fun to see what people come up with using WordPress and its available plugins. A new feature is a Captive Portal. This is what you experience at airports or at Maccas when connecting to free wifi – your device loads a login screen after you connect to the free wifi network, then you click and are taken to your BibleBox website. At the moment the captive portal works on iOS and android tablets – but Im trying to get it working on laptops – a bug Im trying to squash before releasing the complete build publically. So sign up on for updates and Ill let you know soon when the BibleBox is available.